We accept orders through our website, mailed orders, and phone orders. We strongly encourage our customers to order through the website because our experience tells us that the ordering process is much more accurate. If you order by phone or mail, it is best to use our preformatted order form to improve accuracy and turnaround time. 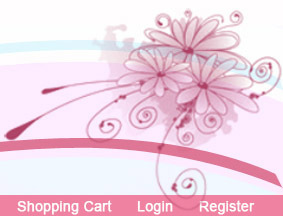 You need to specific the item number, design description, and color choices all obtained from the web. You will also need to fill in the quantity desired. We accept cash, money orders, all major credit cards, and checks from established customers. Payment in full is required before we will ship any merchandise. Our customary carrier is the USPS. Overnight or rush delivery orders are shipped primarily via UPS. Wholesalers are charged our cost for shipping. Insurance applied to each shipment and the cost passed through to the wholesaler. Overnight orders must be placed by noon for delivery the following day and clearly indicated on the order. We routinely produce custom designs for our customers. The minimum order is 50 pieces. You will need to send us a copy of your artwork, with dimensions, materials, and color specified. We will design your pic and return it with a quote in 2 - 3 days. Once orders are placed they are non-cancelable. You must sign off on the quote and artwork for us to place the order. We charge 100% of the amount of the order when confirmed by you. Preferably on a credit card. Shipping is due when the order is shipped to you. All returns must be pre-approved. Email us for return approval. We accept returns only within 10 days of the receipt. You may exchange or return merchandise for company credit only. A 20% restocking fee applies to all returns. Proof of purchase, usually a copy of the original invoice, is required and the item must be returned in its original condition and in its original packaging. Sealed packages of bulk crystals and metals that have not been opened can be returned. Customer is responsible for all shipping charges on returned merchandise unless we made an error. Mail your returned merchandise to the address below. 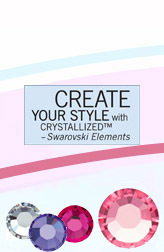 Pricing for all items can be found on the Sue�s Sparklers web site. 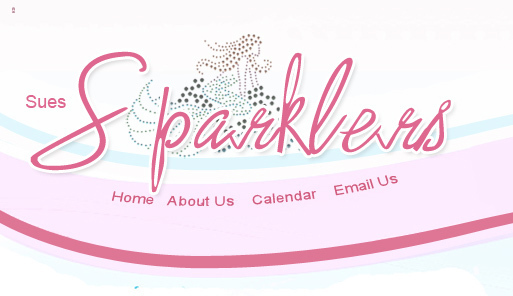 In the event that a Sues Sparklers product is mistakenly listed at an incorrect price, Sues Sparklers reserves the right to refuse or cancel any orders placed for product listed at the incorrect price. Sues Sparklers reserves the right to refuse or cancel any such orders whether or not the order has been confirmed and your credit card charged. If your credit card has already been charged for the purchase and your order is canceled, Sues Sparklers shall issue a credit to your credit card account in the amount of the incorrect price.